Bill Lamdin represents banks and other financial institutions on a wide range of matters, including commercial and real estate lending, check and electronic payment processes, mergers and acquisitions, federal and state regulatory matters, director and officer liability, workouts and foreclosures, creditor’s rights in bankruptcy, and financing transactions with Native American Tribes and Tribal business entities. His clients include numerous banks throughout the Rocky Mountain region. Bill is a frequent lecturer on the subjects of secured lending and workout matters, lender liability avoidance techniques, creditor’s rights in bankruptcy, and the foreclosure of security interests in real and personal property. He is listed in the publications The Best Lawyers in America, in the area of banking law, in Chambers USA, America’s Leading Business Lawyers, in the area of corporate/M&A law, and in the Mountain States Super Lawyers, in the area of banking law. 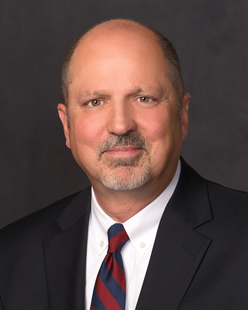 Bill joined the firm in 1983 and is Co-Chair of our Banking, Finance and Creditor’s Rights Practice Group.